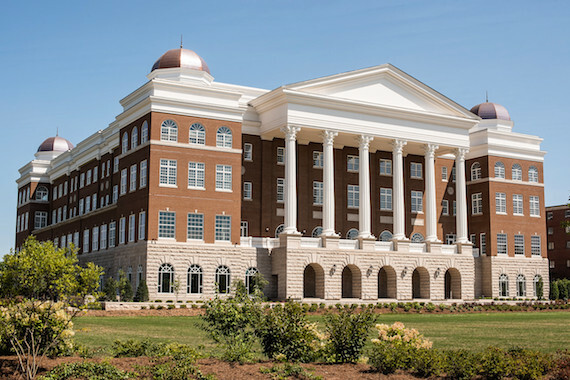 Belmont University officially cut the ribbon celebrating the grand opening of a new $87 million multi-functional complex on Saturday, Aug. 22. 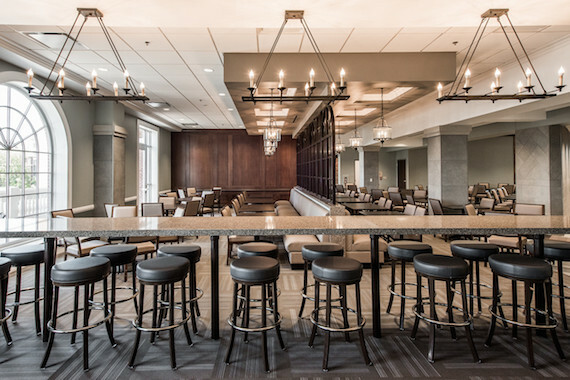 Named in honor of longtime trustee and Bridges to Belmont Endowed Scholarship creators, the new R. Milton and Denice Johnson Center will house the Curb College of Entertainment and Music Business, the media studies program and a vibrant new 950-seat cafeteria. 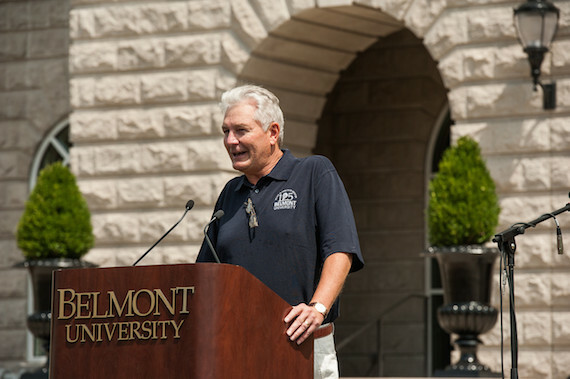 The 1:25 ceremony start time marked the University’s 125th Anniversary celebration during the 2015-16 academic year. The building will include a Multipurpose Media Focus Lab/Entertainment Industry Research Center to study audience reaction, interaction with media technologies and consumer consumption. Area includes one-way windows for observation and media control. Additionally, music history display cases which will initially house a selection from Dr. T.B. Boyd’s private guitar collection, “Breaking Boundaries: R.H. Boyd Publishing and the Influence of African American Music.” The collection represents more than 50 years of African American music with instruments signed by such legends as Dr. Bobby Jones, CeCe Winans and Isaac Hayes.